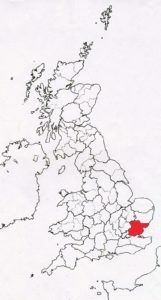 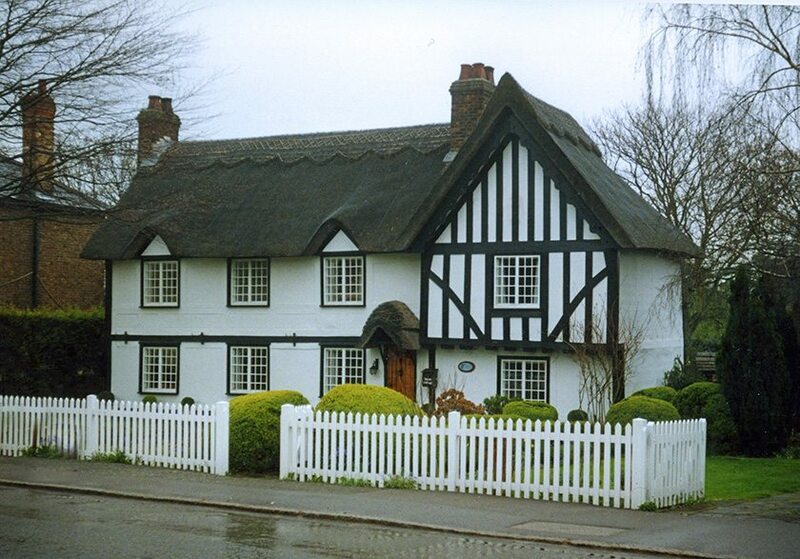 The thatcher’s art is expressed in this historic county, on a great number of roofs. 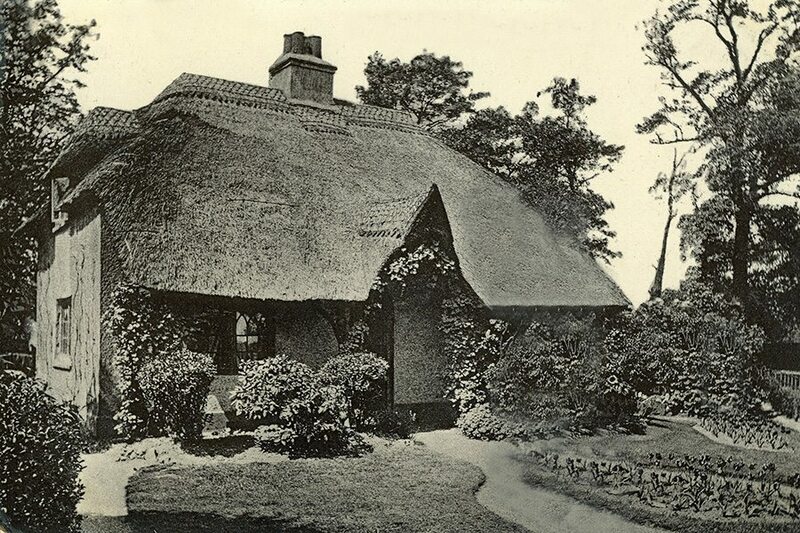 The work always strictly following the Eastern tradition of thatching; here also, long straw thatching still holds sway. 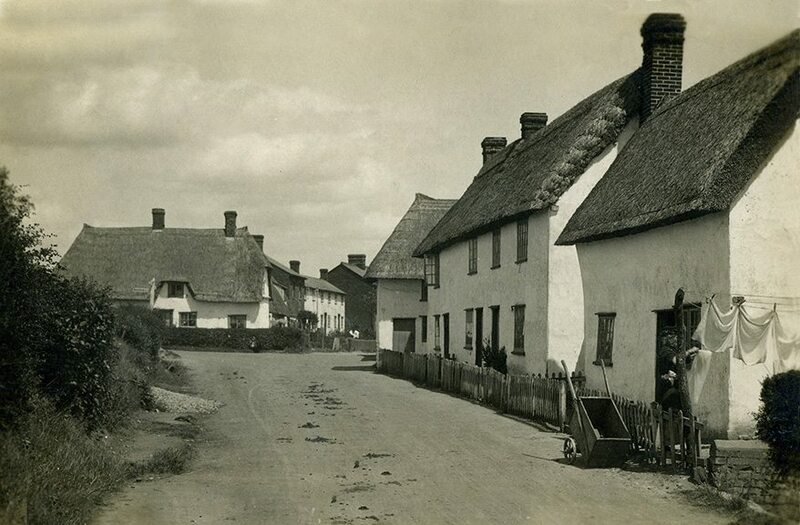 Providing the county, with some very attractive roofs indeed. 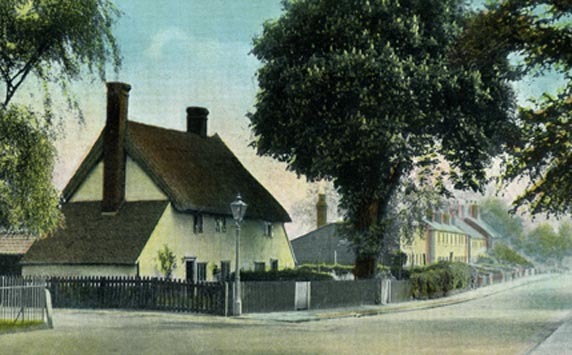 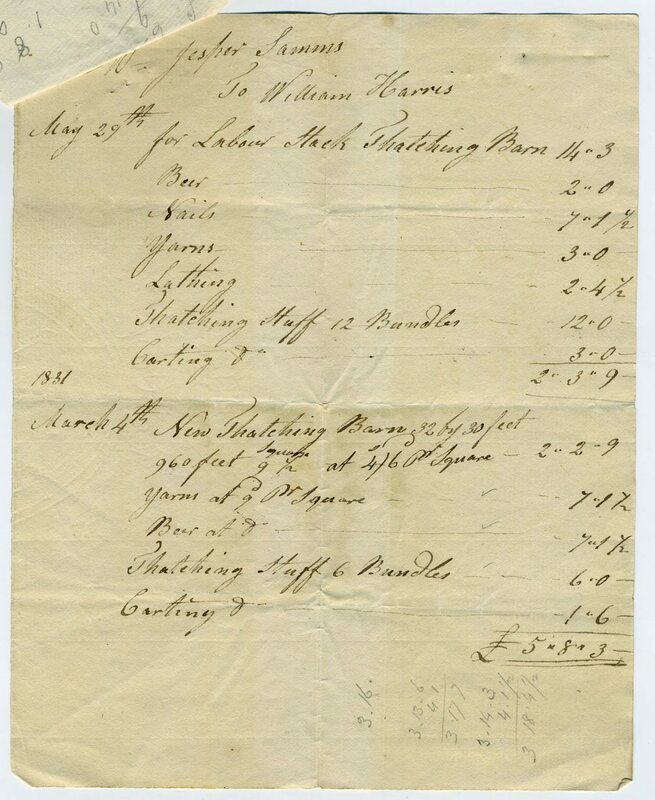 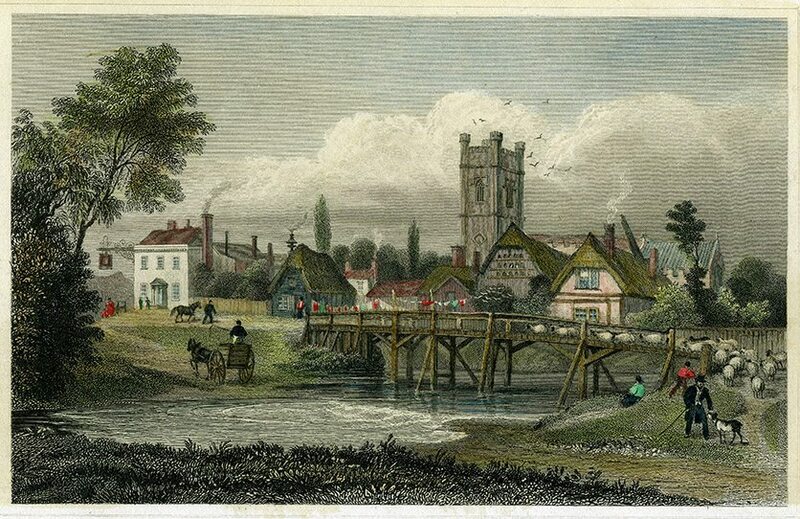 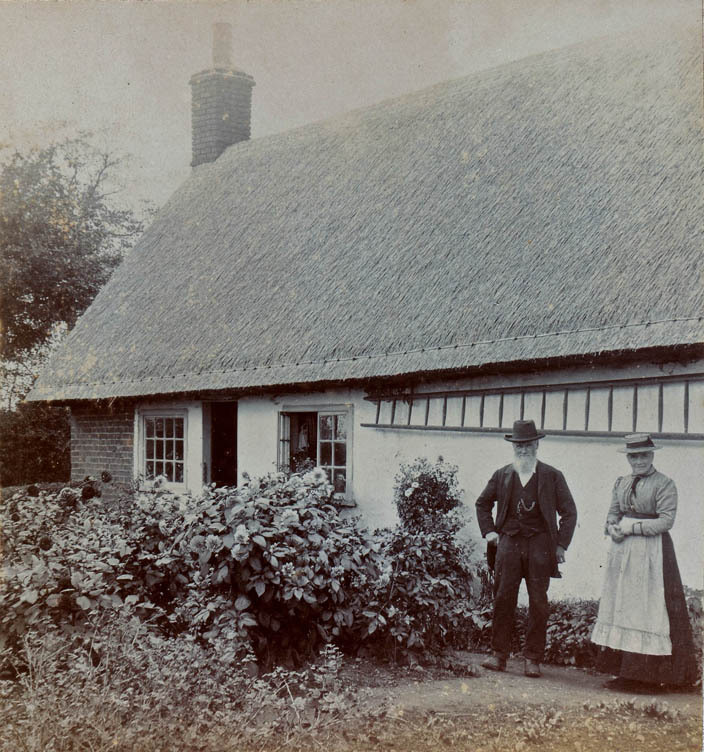 Village life… Easton, near Great Dunmow, around 1830. 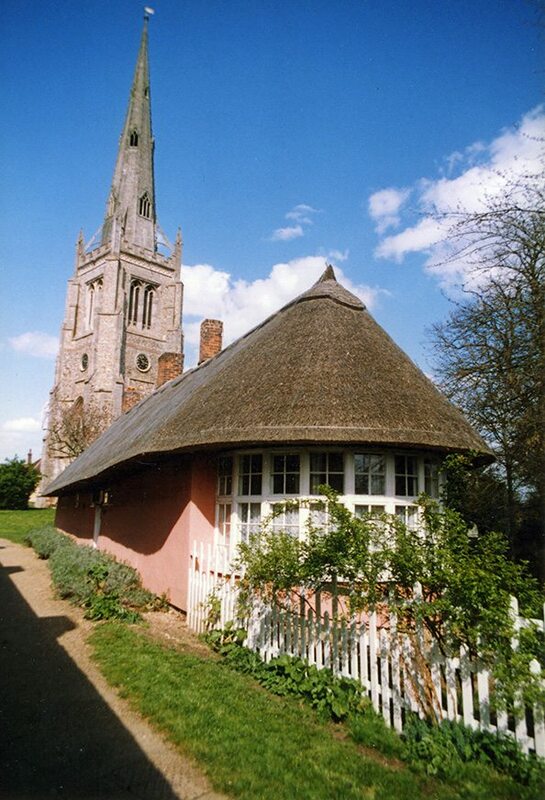 The artist has captured the thatch in this village well. 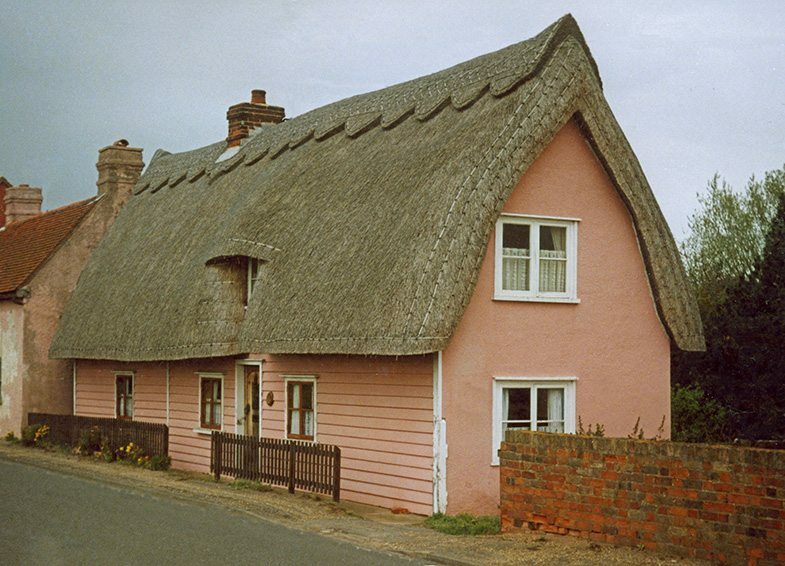 Showing typically Eastern style, steeply pitched roofs. 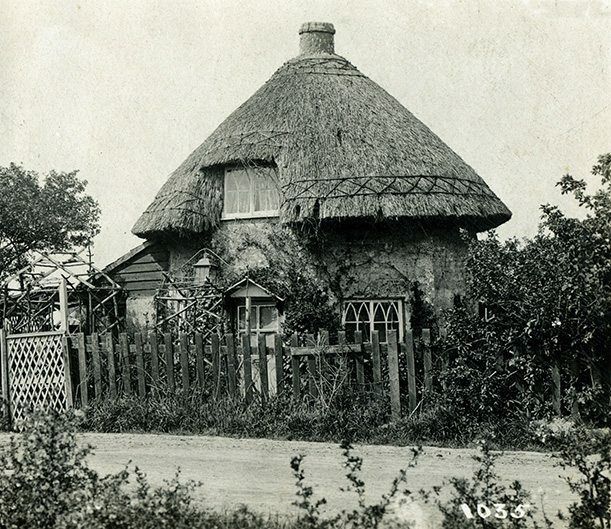 Great Dunmow… A town with quite a few thatches. 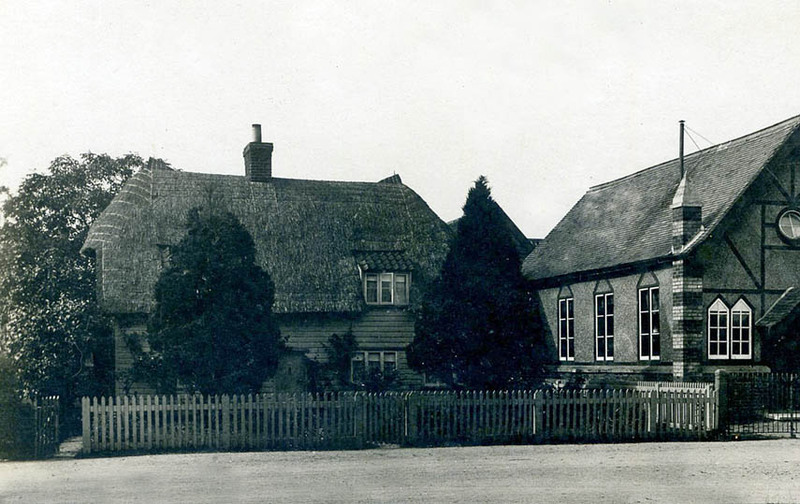 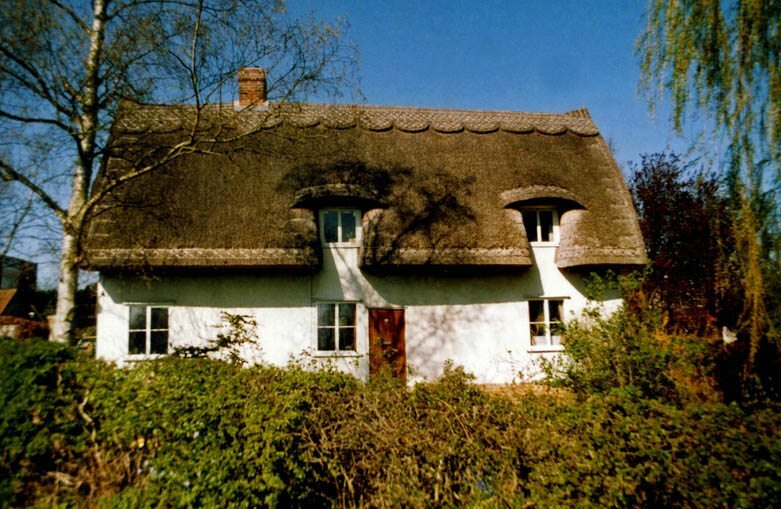 Both the roofs shown here are in long straw, the left with an attractive rolled gable. 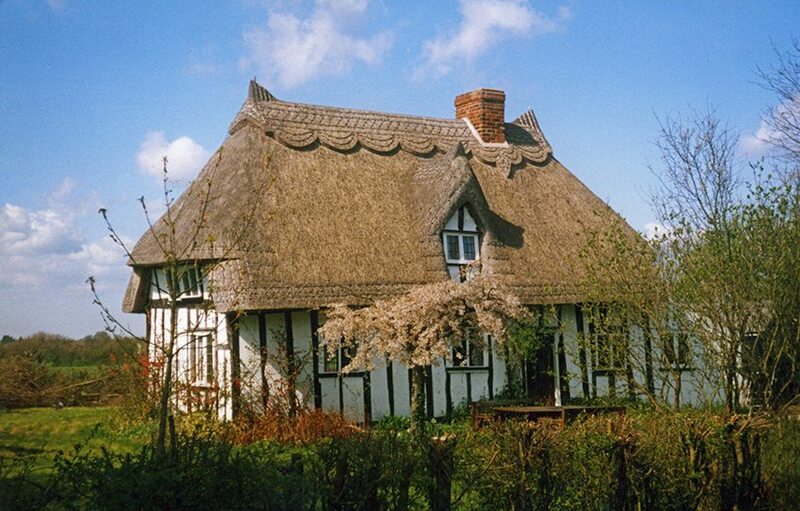 Typically Essex 1… A splendid example, of ornate long straw thatch, at Broxted. 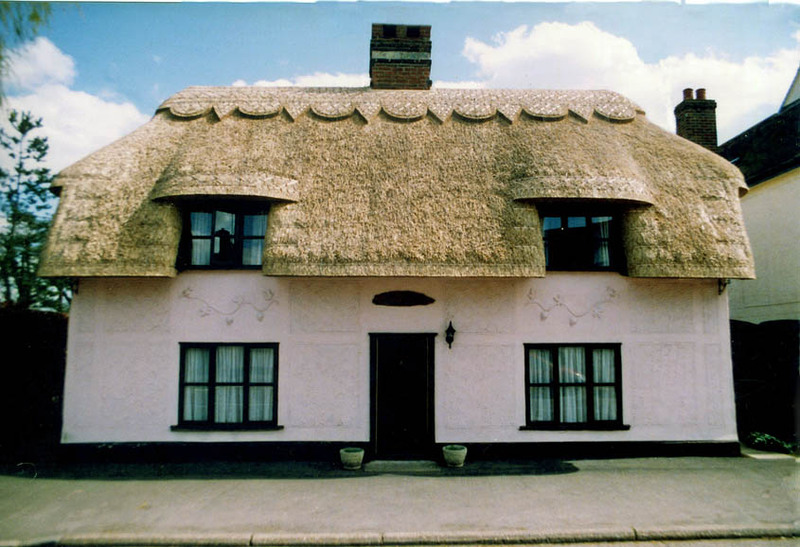 Typically Essex 2… New long straw, on a cottage with some very decorative pargeting, on the walls, at Great Bardfield. 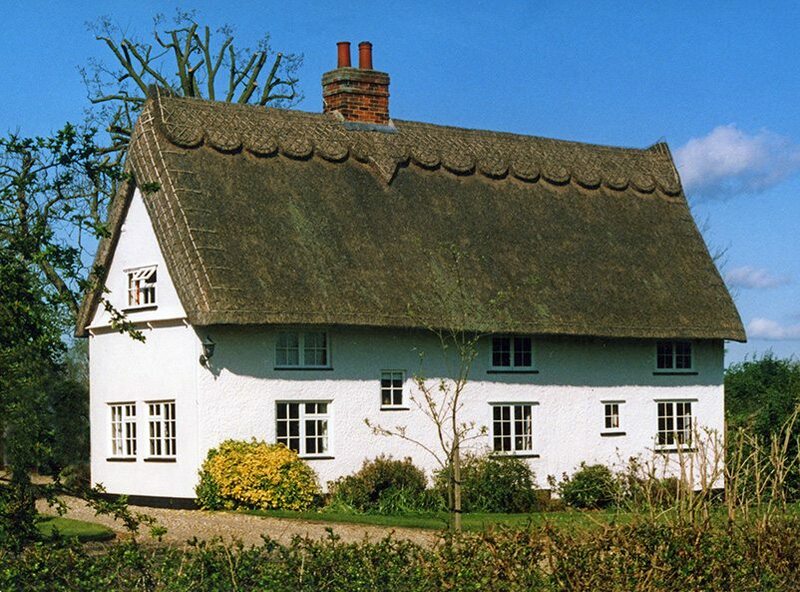 Essex long Straw… An immaculate thatch at Boxted, north of Colchester. 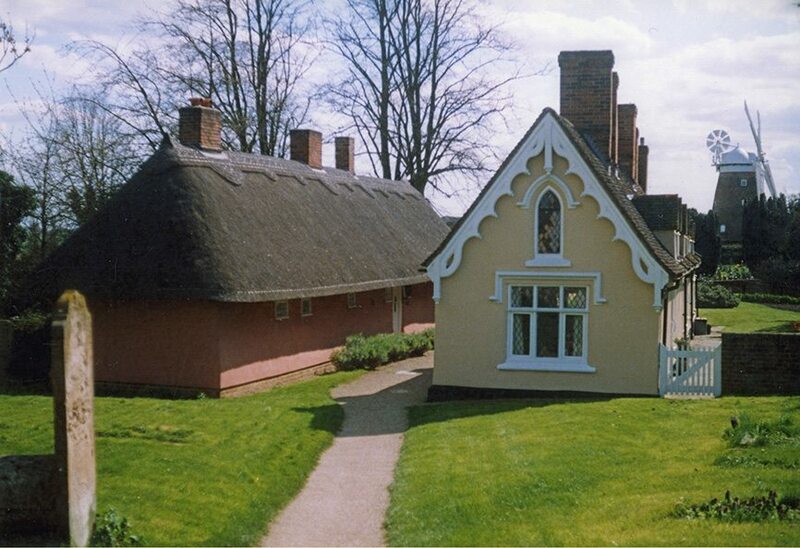 The pole ladder, protected by the eaves, is of a type used throughout the trade at this time and for years afterwards. 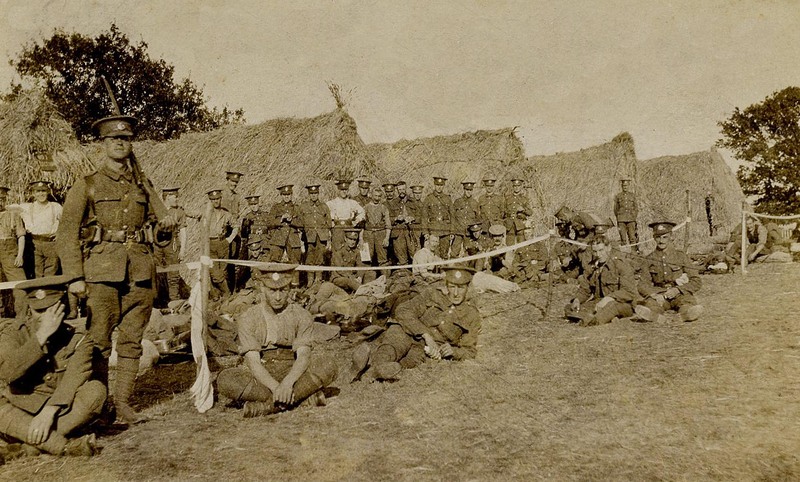 To finish… A splendid scene… And some military thatching, from 1915.